You had better hide your dogs and puppies because this evil madame is looking for some new pups to make a new coat!! You will look just like the evil madame herself in this cute costume. 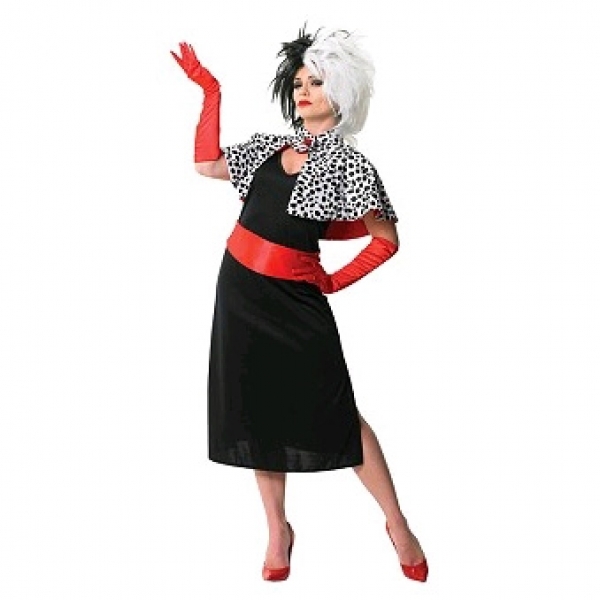 Whether dressing to impress or just seeking a little fanciful fun, this costume is made to please. Dress, belt, cape, wig and gloves.